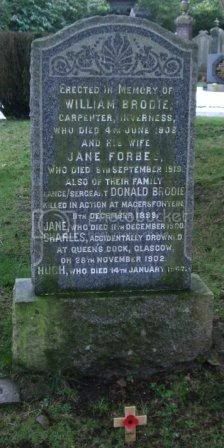 Erected in memory of William Brodie, Carpenter, Inverness who died 4th June 1908 and his wife Jane Forbes who died 8th Sep 1919. 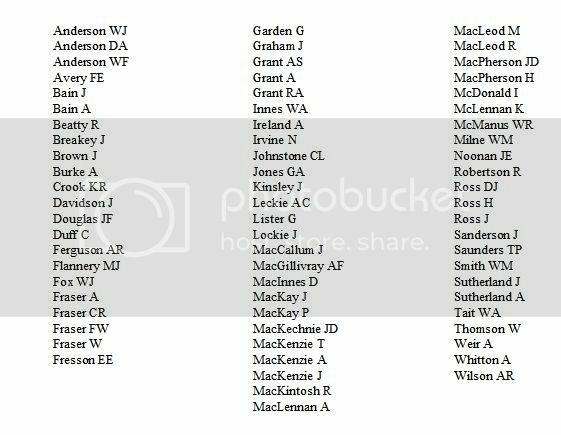 Also their family Lance/Sergeant Donald Brodie killed in action at Magersfontein 11th Dec 1899, Jane who died 11th Dec 1900, Charles accidentally drowned at Queens Dock, Glasgow on 28th Nov 1902. Hugh who died on 14th Jan 1947. 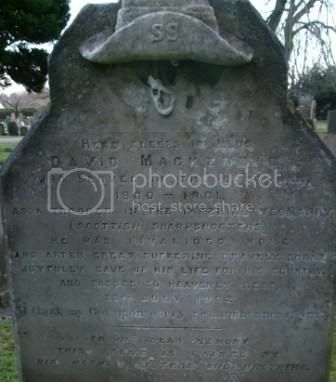 Here sleeps in Jesus David MacKenzie who served in the Boer War 1900-1901 as a Trooper in the Imperial Yeomanry (Scottish Sharpshooters). He was invalided home and after great suffering bravely borne, joyfully gave up his life for his Country and passed to heavenly rest, 23rd July 1902. I thank my God for every remembrance of you. To his dear memory this stone is raised by his mother sisters and brother. 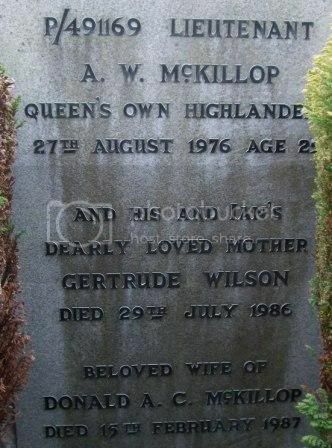 P/491169 Lieutenant A W McKillop, Queens Own Highlanders 27th Aug 1976 aged 25. And his and Ian’s dearly loved mother Gertrude Wilson died 29th July 1986 beloved wife of Donald A C McKillop died 15th Feb 1987. 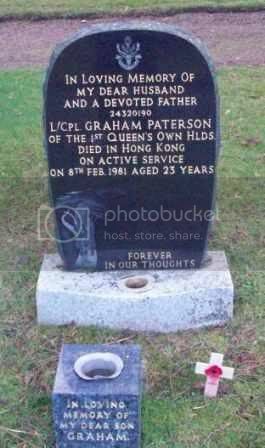 In loving memory of my dear husband and a devoted father 24320190 L/Cpl Graham Paterson of the 1st Queens Own Hlds. Died in Hong Kong on active service on 8th Feb 1981 aged 23 years. Forever in our thoughts. Patty. 22786977 Bombadier R Pattinson, Royal Artillery 9th July 1965 aged 40. Sacred to the memory of Lieut Col Frank Barrow, late Queens …………… born 7th Aug 1844 died 1910. 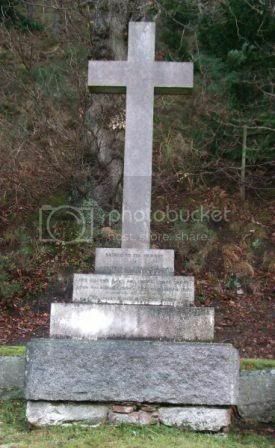 To the memory of James Peter Brougham, MD, JP, Surgeon Major 1st Bengal Fusiliers, late of Stobars Hall, Westmoreland, died at Culduthel House, Inverness on the 27th May 1890 aged 74. And to Adele his wife who died on the 24th Aug 1903 aged 83. 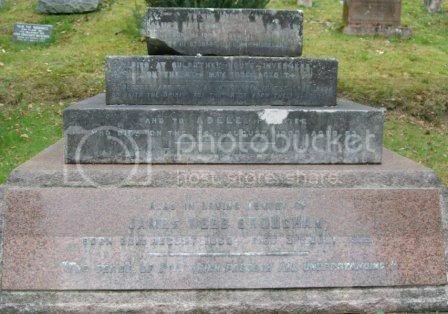 Also in loving memory of James Webb Brougham born 22nd Aug 1860 died 3rd July 1909. Also to the memory of Helen Grace Brougham wife of James Webb Brougham died 26th April 1923 aged 59. 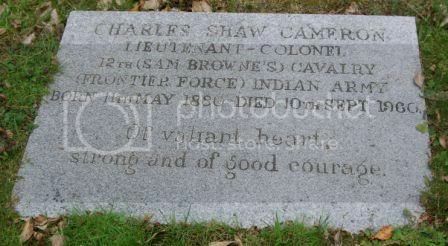 Charles Shaw Cameron, Lieutenant Colonel, 12th (Sam Browne’s) Cavalry (Frontier Force) Indian Army born 11th May 1880 died 10th Sep 1960. In loving memory of Ann Cecilia Cameron died 13th June 1972, also of her husband Ian Colin Cameron, late Queens Own Cameron Highrs. Died 24th Aug 1975. In loving memory of our dear father Pipe Major John Cameron who passed away 1st Jan 1908 aged 58 years. Our beloved mother Jane Allen who passed away 24th Oct 1963 aged 95 years. 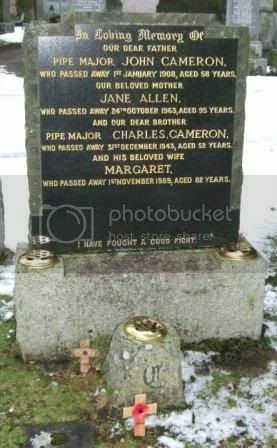 And our dear brother Pipe Major Charles Cameron who passed away 31st Dec 1943 aged 52 years. And his beloved wife Margaret who passed away 1st Nov 1989 aged 82 years. In ever loving memory of my dearest Kenneth MacKenzie Cameron, MB Major in The Royal Army Medical Corps who was suddenly taken from us at Aldershot 7th May 1910. Sacred to the memory of Piercy beloved wife of General Patk. Cameron, Madras Cavalry, daughter of the late Colonel Chauvel, Walton Bridge House, Middlesex born 28th Aug 1790 died 10th March 1870. Also in this tomb rest the remains of Patrick Cameron, General, Madras Cavalry second son of the late Donald Cameron of Clunes born 6th April 1794 died 8th Dec 1871. Jas. Allan Cameron late 13th Lt. Dragoons elder son of Genl. Patrick Cameron born 24th Jan 1819 died 29th Dec 1890. 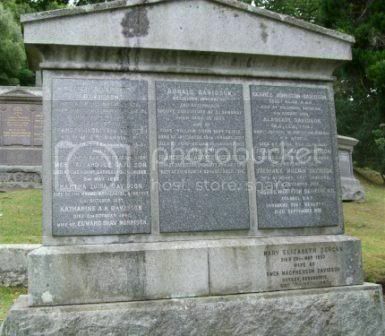 Eliza Allardyce Davidson wife of Neil MacMichael, Indian Civil Service, Madras Presidency, died at Fort William NB 27th Aug 1906. Frances Middleton Davidson widow of C W Darbishire, Bradford on Avon, Wilts died 4th July 1925, buried at Singapore. Mary Allardyce Davidson died at The Mount, Batheaston, Somerset 3rd May 1952. Martha Luisa Davidson died at The Mount, Batheaston, Somerset 31st Oct 1957. 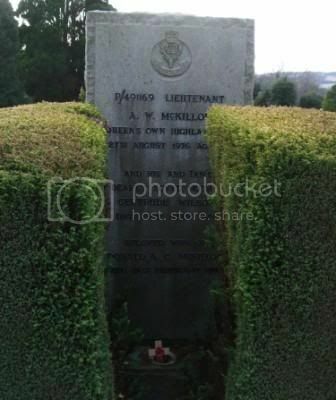 Katherine A A Davidson died 5th Oct 1965 wife of Edward Shaw Morrison. Donald Davidson, Solicitor, Inverness and afterwards Sheriff Substitute at Stornoway from 1890 to 1894 and at Fort William from 1894 to 1912. Born at Inverness 18th Jan 1827 died at Fort William 25th Aug 1913. 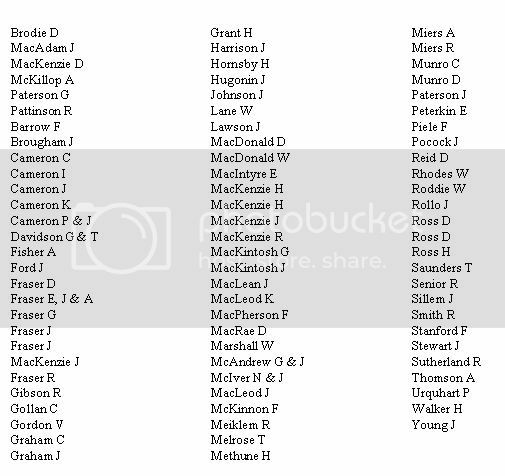 Also his wife Frances Allardyce Middleton born at Davidston, Cromarty 26th July 1840 died at Edinburgh 20th Oct 1916. George Johnston Davidson Sergt. 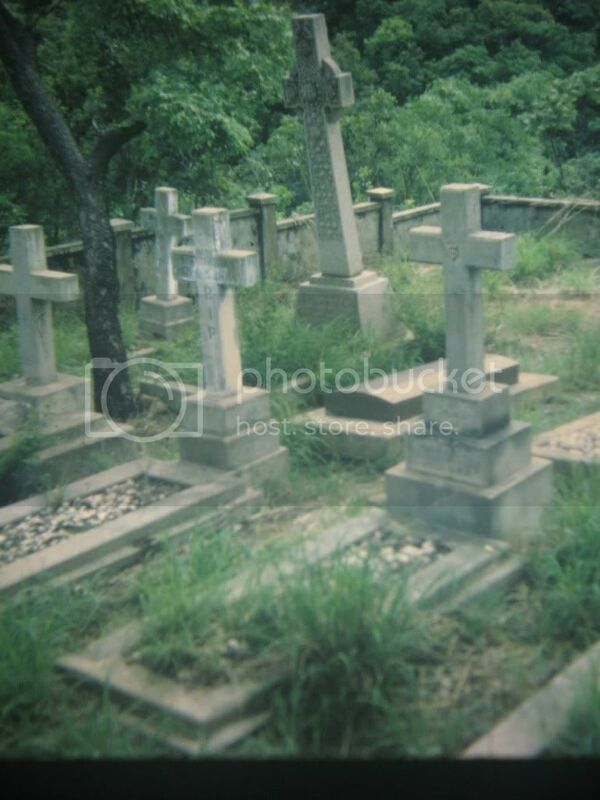 Major MMP died at Buluwayo, Rhodesia 6th Aug 1896. Alastair Davidson (MA,LLB,Edin) Chief Justice of Northern Nigeria, NW, Africa died at Jebba 29th July 1901. Francis Donald Davidson died at Garguston, Killearnan 29th Nov 1912. 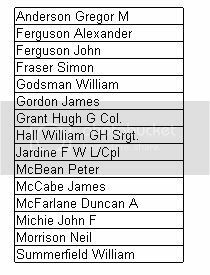 Roderick William Davidson died at Misoro, Fort Jameson 15th Nov 1936. 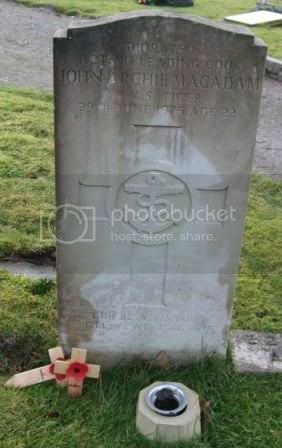 Thomas Middleton Davidson MD Colonel SAP, Drummond, Fort Beaufort died Sept 1938. Mary Elizabeth Duncan died 20th May 1937 wife of Ewen McPherson Davidson, Ootsey, Rosemarkie died 19th April 1948. Below are photos from Stuart Pearson taken in Nigeria. 1908 photograph which I copied from a book on Nigerian railways. 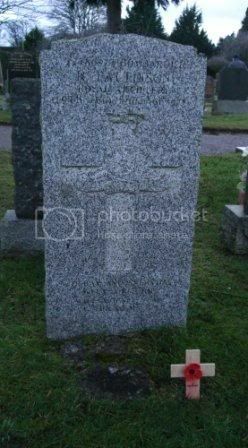 A Davidson's Gravestone is the large cross and you should be able to read the inscription if you enlarge the photograph. 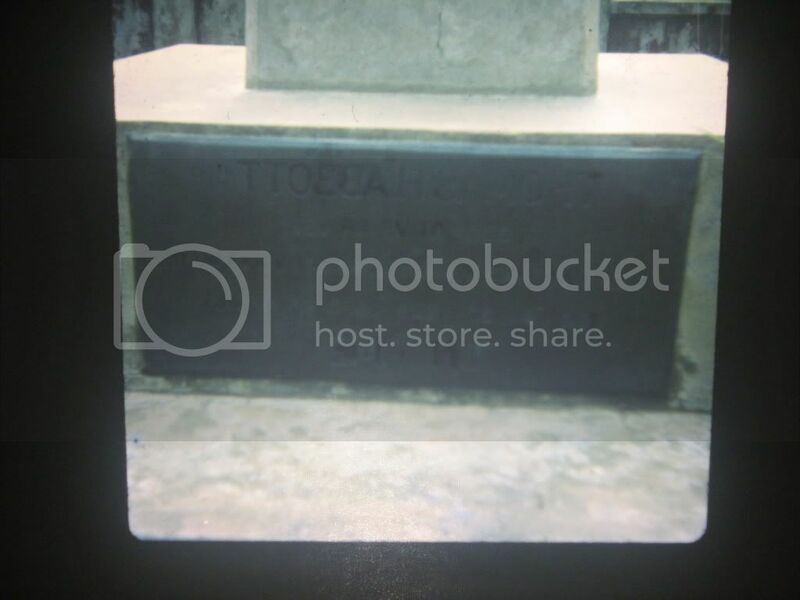 It reads "In loving memory of Alistair Dickinson, Chief Justice, Born ???? Died 29th July 1901. 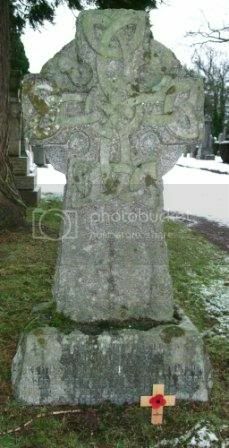 The other five crosses seem to be wood on a stone base except for the black marble one in front of the Davidson grave in the 1908 photograph. 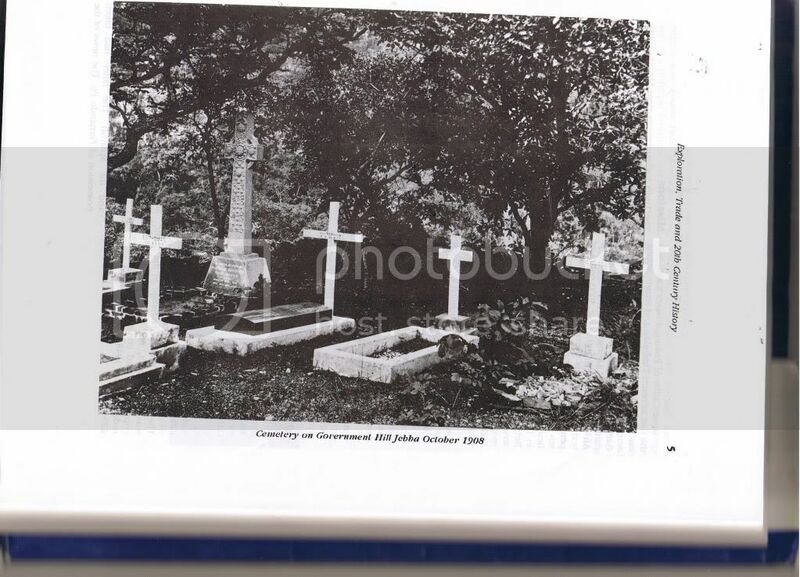 These wooden crosses were all for persons who died 1907 and 8 and the wood crosses were replaced later by stone ones which you will see in the 1966 photograph which I took when working in the area in 1966-71.